The drugs identified as potential treatments are: calcium channel blockers, now used to treat high blood pressure, and antibodies that block the inflammatory molecule IL-17A, under development for the skin disease psoriasis. Clinical trials would be necessary to show that these drugs are effective against parathyroid hormone-induced bone loss in humans. 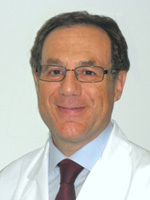 Pacifici is Garland Herndon professor of medicine and director of the Division of Endocrinology, Metabolism and Lipids in the Department of Medicine at Emory School of Medicine. Co-first authors of the paper are Jau-Yi Li, PhD, instructor of medicine at Emory and Patrizia D’Amelio, MD, PhD, assistant professor from the University of Turin. Parathyroid glands regulate calcium levels in the blood. Too much parathyroid hormone can result in an excess of calcium in the blood and too little in the bones. It can also lead to kidney stones, and an increased risk of cardiovascular disease. 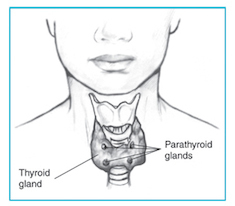 The parathyroid glands are pea-sized, located on or near the thyroid gland in the neck. In the United States, about 100,000 people develop primary hyperparathyroidism each year, although most of them have no symptoms, according to the National Institutes of Health. It is also possible to develop secondary hyperparathyroidism as a result of chronic kidney disease and vitamin D deficiency. Primary hyperparathyroidism is more common in postmenopausal women. In women 60 years and older, one in 500 will develop hyperparathyroidism each year. In theÂ Cell MetabolismÂ paper, the researchers studied 20 patients from Italy with primary hyperparathyroidism. On average, the patients had levels of gene activity for the inflammatory molecule IL-17A in their blood cells that were three times higher than in healthy controls. After surgery to remove the overactive parathyroid gland, patients’ IL-17A activity levels returned to normal. Elevated levels of IL-17A have also been seen in autoimmune diseases such as psoriasis, rheumatoid arthritis and Crohn’s disease, which sometimes involve bone loss as a secondary symptom. IL-17A is produced by a distinct lineage of immune cells called Th17 cells. To mimic hyperparathyroidism in animals, mice were given additional parathyroid hormone by continuous infusion, resulting in a decrease in bone volume density of around 25 percent over two weeks. In the mice, parathyroid hormone appears to expand the population of Th17 cells, which in turn produce inflammatory molecules such as RANKL that stimulate osteoclasts, the cells that break down and reform bone. Treating the mice with an antibody against IL-17A prevents the bone loss induced by parathyroid hormone infusion.. The calcium channel blocker diltiazem had the same effect, apparently by hindering the effects of parathyroid hormone on Th17 cell generation. Pacifici says a larger confirmatory study examining IL17 in human hyperparathyroidism could pave the way for a clinical trial looking at the effects of calcium channel blockers on bone loss. “If these effects are confirmed clinically, calcium channel blockers, which are relatively inexpensive, could be useful with primary hyperparathyroidism and also with forms of bone loss associated with inflammation,” he says.